Sao Paulo (AFP) - By siding with the United States in recognizing Juan Guaido as Venezuela's interim president and dismissing Nicolas Maduro as an illegitimate "dictator," Brazilian far-right leader Jair Bolsonaro is making a risky bet, analysts and former diplomats say. Firstly, he is breaking with Brazil's tradition of trying to maintain cordial relations with governments of all stripes. Secondly, he is thrusting Brazil into a showdown that, in the words of Rubens Ricupero, a former Brazilian ambassador to the US speaking to the newspaper O Globo, "could have unpredictable consequences for the region" if not quickly resolved. In a worst-case scenario, Brazil could find itself involved in military action against a neighboring country for the first time in a century and a half. Even if it does not go that far, Bolsonaro has chosen sides in a crisis that could prove intractable. "What has arrived is an impossible situation," Ricupero said. "There is no sort of solution on the horizon. Neither of the sides want dialogue." The terrain ahead has been made all the more complicated by Russia and China -- Venezuela's main creditors -- sticking by Maduro. The UN Security Council, at the United States' request, is to discuss the crisis on Saturday. After the United States, Brazil is probably the most important country to watch in the geopolitically fuelled crisis unfolding in Venezuela. The vast nation, which borders Venezuela, is host to thousands of Venezuelans who have fled economic collapse at home. It is a leading member of the Lima Group, a regional club challenging Maduro's rule, and of the Organization of American States, a Western Hemisphere political forum. It has Latin America's biggest military. But most importantly, as of this month it is governed by Bolsonaro, a former paratrooper ferociously opposed to leftwing ideology at home and abroad who has offered himself up as US President Donald Trump's closest ally in South America. 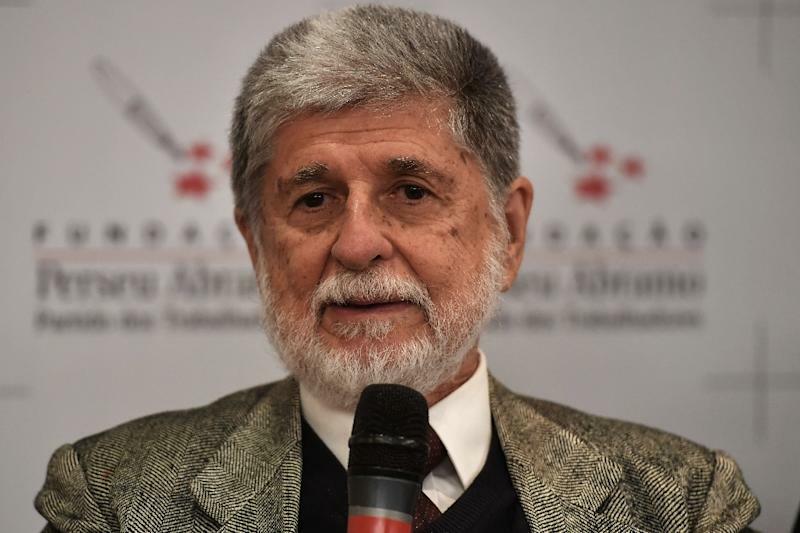 Celso Amorim, a former Brazilian foreign minister who strengthened South-South diplomatic ties under a past leftist government led by the Workers Party, told AFP: "We are embarking on crusades that have nothing to do with us.... Supporting Guaido is an intervention." The former diplomat, who later held the post of defense minister, said he favored dialogue mediated by an actor such as Mexico to defuse the situation. Mexico, alone among Latin America's biggest powers, has said it still recognizes Maduro as leader. Oliver Stuenkel, a professor in international relations at the Getulio Vargas Foundation, agreed that Brazil had cut itself off from any possibility of dialogue with Maduro's regime. But he noted that Brazil would have been "isolated" in the region if it had not gone along with recognizing Guaido. The Workers Party, now in opposition, said in a statement that Bolsonaro's government was "humiliating" itself by following Trump's foreign policy. 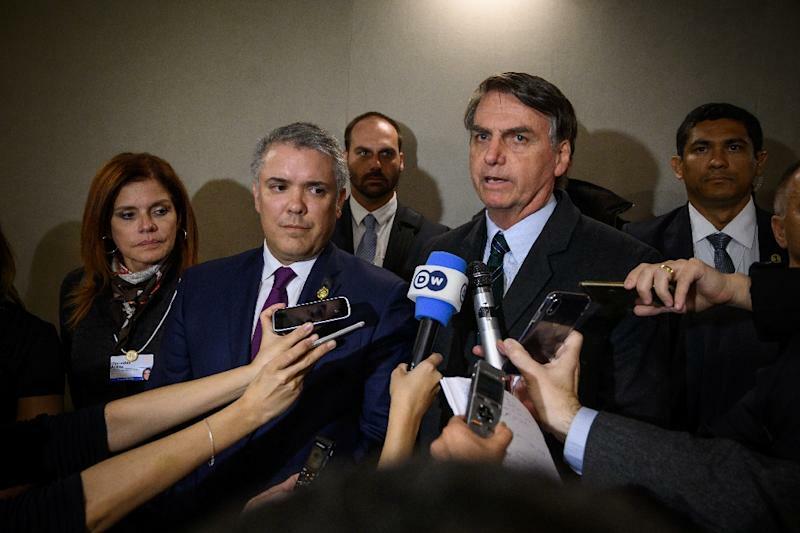 Bolsonaro himself, in a television interview Wednesday from the Swiss ski resort of Davos, where he was attending the World Economic Forum, said Brazil was at the "limit of what we can do to restore democracy" in Venezuela, apparently discarding the possibility of Brazilian military action. But the president, who openly admires Brazil's 1964-1985 military dictatorship, said: "History has shown that dictatorships don't give up power to the opposition in a peaceful way." 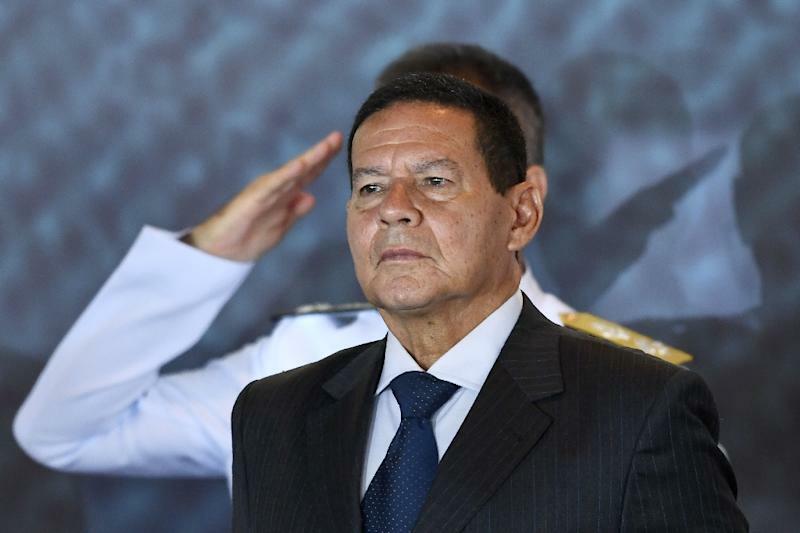 His vice president, retired general Hamilton Mourao, who was military attache in Caracas 2002-2004, stated that "our foreign policy is to not intervene in the domestic affairs of another country." The United States has said it was contemplating "all options" -- implying a military response -- if Guaido or the opposition was forcibly constrained in Venezuela. Stuenkel said Brazil remained "a secondary actor" in what was happening with Venezuela, adding that he saw Washington "forming the debate." Another international relations professor, Matias Spektor, expressed doubts about the wisdom of Brasilia backing Guaido, saying the 35-year-old speaker of Venezuela's opposition-controlled parliament had only a "vague and utopic" program. "He doesn't seem credible enough to form the sort of coalition needed to restore democracy," Spektor wrote in a column in the Folha de Sao Paulo newspaper.